12. 02. 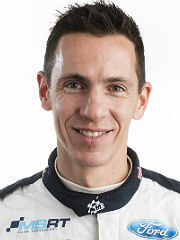 2017 13:53 18 (1 - Ogier Sébastien / Ingrassia Julien): I think I'm happy. It's been a tough weekend so to finish on the podium is great. Some good points for the championship and that's what matters the most. 12. 02. 2017 13:43 17 (1 - Ogier Sébastien / Ingrassia Julien): For sure there is nothing to catch in the overall standings so we took it easy here. We will try on the Power Stage. If we can get two points it would be good for us. 12. 02. 2017 13:34 16 (1 - Ogier Sébastien / Ingrassia Julien): A stupid mistake on the first corner; I cut it, caught some fresh snow and spun. I struggled a bit to restart. Afterwards I took it easy because I knew it was over. It's a shame. I wanted to push this morning. It would have been difficult but that's life. 11. 02. 2017 15:37 14 (1 - Ogier Sébastien / Ingrassia Julien): Really slippery for sure. I struggled to go any faster. I hoped to have more speed today. 11. 02. 2017 14:40 13 (1 - Ogier Sébastien / Ingrassia Julien): The grip is getting better and better. There's more gravel too, but not enough to badly affect the tyres. 11. 02. 2017 10:43 11 (1 - Ogier Sébastien / Ingrassia Julien): Much better than yesterday. We try as hard as we can. I think quite a good loop. We keep pushing. 11. 02. 2017 10:30 10 (1 - Ogier Sébastien / Ingrassia Julien): A bit of fresh snow means that grip is not optimum here but we try our best. 11. 02. 2017 10:18 9 (1 - Ogier Sébastien / Ingrassia Julien): No problems. You have to be completely committed in here, it's super fast! The stage is getting faster and faster with each car. We enjoy our road position better than yesterday. 10. 02. 2017 17:28 8 (1 - Ogier Sébastien / Ingrassia Julien): The whole day has been difficult but this was really bad. With so much loose snow there was nothing I could do. I hope tomorrow will better. 10. 02. 2017 16:09 7 (1 - Ogier Sébastien / Ingrassia Julien): It's been a very tough afternoon for us. Now there is just one more stage to go before hopefully we can benefit from better road conditions tomorrow. 10. 02. 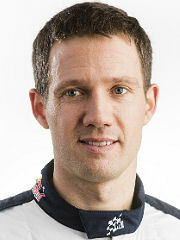 2017 14:45 6 (1 - Ogier Sébastien / Ingrassia Julien): I cannot do anything. I'm trying but it's undriveable after the historic cars. Of course tomorrow I will have a better road position, but I need to keep myself in a good place tonight. 10. 02. 2017 13:34 5 (1 - Ogier Sébastien / Ingrassia Julien): Lines of historic cars are so different It's almost undriveable. It's a big fight to keep the car in the lines. 10. 02. 2017 10:37 4 (1 - Ogier Sébastien / Ingrassia Julien): Very difficult, Especially this one, which was maybe the worst of the loop. In the narrow sections there is no grip. That's just how it is. I'm happy with my driving though. 10. 02. 2017 09:20 3 (1 - Ogier Sébastien / Ingrassia Julien): The first part of the stage was clean but the last part was loose and slippery. I think it's going to be difficult for us today. 10. 02. 2017 08:12 2 (1 - Ogier Sébastien / Ingrassia Julien): It was difficult, especially in the narrow section where it was very slippery. Not a bad stage for us. 09. 02. 2017 20:59 1 (1 - Ogier Sébastien / Ingrassia Julien): Not so bad. Ok, not the fastest but tomorrow the real thing starts. We need to be awake straight away. I hope not too much fresh snow falls overnight.